Miss Polly is a customized Silver Snow! She’s been matted, blushed, washed, brushed and had her eyes poked out and replaced (thanks Paul for the p-chips!). She makes me very happy. Squeeeeak! Warning! Dolly alcoholism in progress. 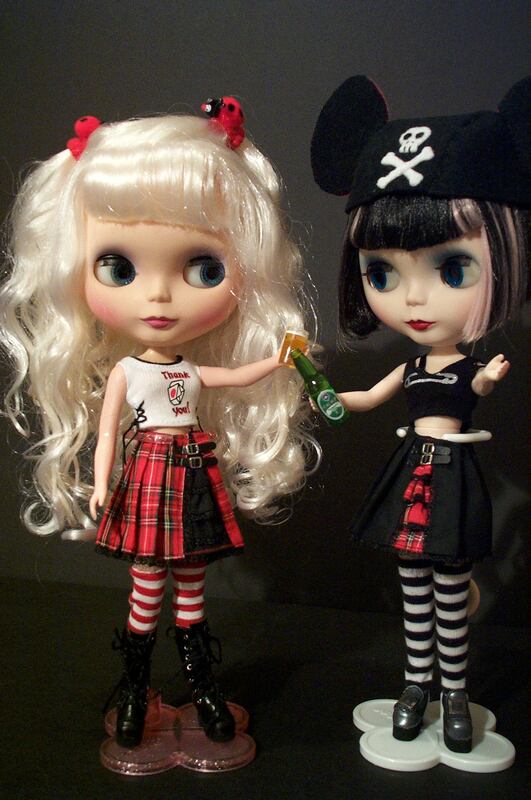 Your adorable Blythes are digital gaga for a slow and boring workday, luuuuuv the drinking girls!